Running a busy workplace or office is a huge responsibility. For everything to run smoothly you will need to employ a cleaning team. Cleaning tasks should never be carried out by employees. But, with so many different companies to choose from which one should you employ? In this article we are going to discuss why you should only ever employ a green commercial cleaning team for your work premise. There are many reasons why you should employ only a green commercial cleaning team, and they reach far beyond doing your bit for the enviroment. Let’s take a look at some of the reasons you must only use green cleaners and green cleaning products. First and foremost, green cleaning solutions should replace all chemical cleaners you have in the workplace. Chemicals are harmful to the environment. Let’s take bleach as an example. If you have used bleach to clean your own home, you will know just how much it irritates the skin and the eyes. Cleaning with bleach and not keeping windows open can result in difficulty breathing and a nasty headache. You will also be left with a nasty taste in your mouth that you would not have to suffer if you used green commercial cleaning products. Bleach is harmful to us, to our skin, and to our airways. If any of your employees suffer with asthma, their condition will get worse after chemicals have been used for cleaning at work. Skin conditions such as dermatitis and excema will also be affected. Do you have an employee that is often off sick after cleaning day? If you do you may have just worked out why. Bleach is not just harmful to humans. When disposed of, it damages the flora and fauna underground too. Chemicals are a no when it comes to eco cleaning. There are many things that you can do to reduce the carbon footprint of your workplace. These include smart heating, and replacing old style boilers and heating systems. But another way to reduce your carbon footprint is to stop using chemicals when you clean. There is no need to use chemicals. There are green cleaning alternatives available that are just as good. Another way to reduce your carbon footprint in the office is to use recycled office supplies. This however extends far beyond using recycled paper. Cleaning supplies such as paper towels and cloths can all be made from recycled materials. All your janitorial supplies can be green. All you need to do is change your supplier to a green commercial cleaning team in Bristol. One reason you may be reluctant to swap over to green cleaning is the cost. Green cleaning is not more expensive however, this is just a myth. When green cleaning alternatives were first introduced they may have bee more expensive, but that is no longer the case. 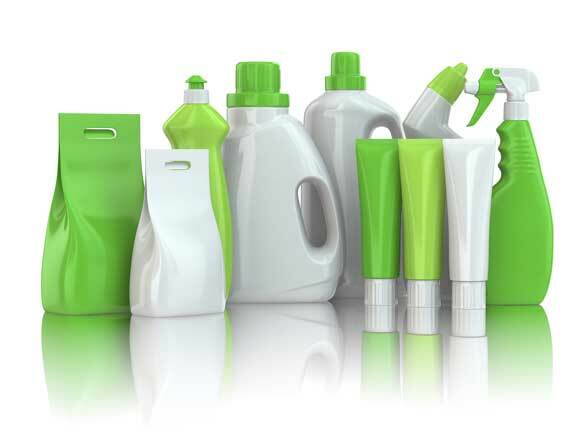 Green cleaning supplies are very competitively priced, as are the services of your local green cleaning team. To find out just how much green cleaning solutions will cost for your workplace, contact your local eco cleaning team. All chemical cleaners will be banished from your office, and all cleaning materials will be environmentally friendly. You will reduce your carbon footprint, and the number of days off your staff have due to health problems associated with contact with chemicals. As well as employing a green cleaning team, there are some changes that you can make around the workplace. For enhanced staff productivity, your office should always be clean, fresh, and well ventilated. Invest in a water feature or some plants for your work area. Ensure that all office supplies are recycled, and that your staff are also conscious about what they throw in the bin at work. Also encourage your staff members to share transport to and from work or take public transport or walk. This will encourage an office atmosphere that is heatlhy and happy. The first step to a happy and healthy office is to employ a green commercial cleaning team. But there are many more things that you can do in and around the workplace to ensure a healthy and happy working environment. All members of staff should be eco conscious and there should be a green office code in place. You will be amazed to see just how much more productive your workers are and how everyone will work together in harmony.